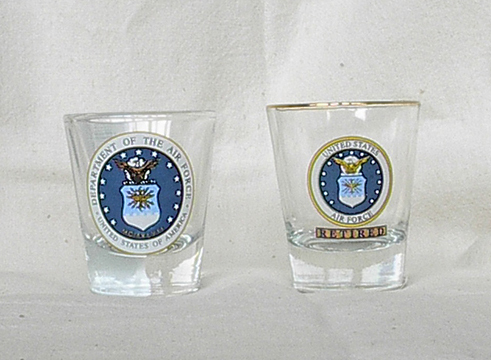 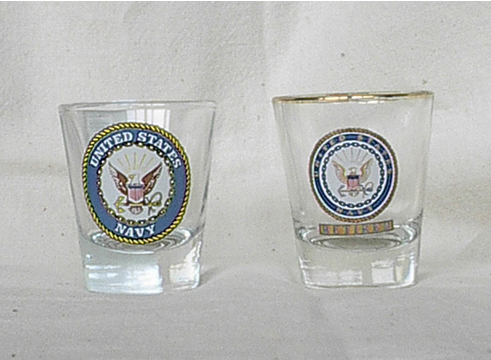 Classic collector type shot glasses show the US Navy seal. 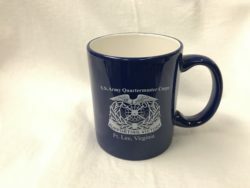 In retirement counterpart also. 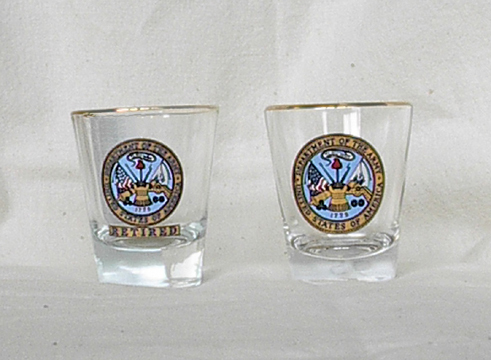 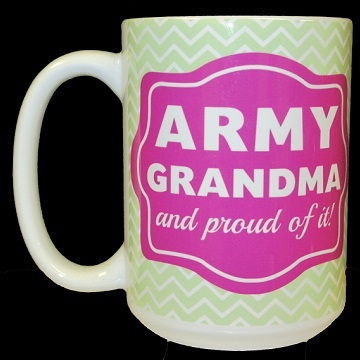 Each glass measures approximately 2-1/4″h x 2″w.